Eighteen years ago, as Congress was passing its landmark Welfare to Work statute, the libertarian Cato Institute published an influential economic analysis of welfare benefits versus work. This month, it published an updated version of that study, “The Work versus Welfare Tradeoff 2013” (available at www.cato.org). Vermont didn’t come off very well. Before looking at the findings, it’s appropriate to recall that it’s difficult to make exact cross-state comparisons of “welfare benefits”. That’s because there are dozens of means-tested Federal and state welfare benefit programs, and there is no unequivocal way to compare all the combinations. Nonetheless, Cato made reasonable assumptions about the “welfare package” available to households in the fifty states, and it’s not likely that any other methodology would produce significantly different results. The welfare benefit package for the profiled family includes Temporary Assistance for Needy Families (TANF, welfare), Supplemental Nutrition Assistance Program (SNAP, food stamps), Medicaid, Housing Assistance, Woman Infant and Children (WIC, nutrition), TEFAP (nutrition), and Utility Assistance (LIHEAP). Here are the basic findings, drawn from government data sources. Vermont ranks eighth in the country for the model benefit package: $28,338 in 1995, increased by dollar depreciation to $37,705 in 2013. This increase of $9,367 was the largest among the fifty states. Vermont’s current benefits carry a value equal to 193% of the Federal Poverty Level. Vermont ranks eighth in pretax wage equivalent of the welfare benefit package, at $42,350. This number, representing what the household would have to earn to pay for the benefits after taxes, has increased by $10,770 since 1995, by far the largest increase of any state. Vermont ranks eighth in the hourly wage a full time worker would have to earn to receive the after tax benefits: $20.36. If only TANF, SNAP and Medicaid are computed, a full time worker would have to earn $8.13 an hour just to cover the value of those benefits. (The Vermont minimum wage is $8.60). Vermont ranks second in the ratio of the pretax wage equivalent to the state median salary ($42,350 vs. $34,019): 124.5%. Vermont’s food stamp benefit level of $5,004 is, surprisingly, 49th in the country. This is because the Federal SNAP program takes into account Vermont’s high TANF payments and adjusts its SNAP benefits downwards. Vermont ranks third in the country for Utility Assistance ($900/year). The fraction of Vermont TANF recipients who actually participate in “work activities” is 30.2%, compared to a national average of 41.6%. Vermont ranks 47th in “work activity” participation – and “work activity” includes numerous escape hatches from actually working, such as training, education, and “job readiness”. The Cato computation does not consider Federal disability programs such as SSDI and SSI, the most rapidly rising category of income transfer payments. In a civilized society taxpayers must help take care of those who are unable to provide for themselves – fair enough. Those who are able but not willing are another matter. Vermont has become so generous with its means-tested public assistance programs that for thousands of people, there is a large temptation to game the system, draw all available benefits, and enjoy a life unburdened by gainful employment – other than occasional transactions, licit and otherwise, performed off the books. 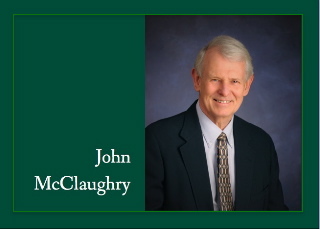 John McClaughry I work on Thorium Molten Salt and Rare Earth issues at the national level. Your recent piece on alternative nuclear was more than welcome. If you are interested in learning about how the U.S. can end China’s rare earth monopoly and initiate commercial development of Th-MSR / LFTR please contact me. I just posted a rebuttal to Shane’s opposition to the minimum wage, which I noticed you posted agreement with him. A US Constitutional Amendment requiring employers to pay a minimum living wage covering basic necessities for each employee and 1 dependent (their replacement) would solve the welfare problem for the working poor, eliminating the need for government to subsidize employers by paying for welfare programs. Allowing dependents to work for less than the minimum living wage would provide opportunities for employment to those with fewer skills/abilities. Instead of Cato/Ethan Allen complaining of welfare to work problems, I suggest you concentrate on coming up with solutions and ways to implement them. There are far too many complainers in the “conservative” camp, too many nay sayers, too many vague solutions with no chance in hell of being implemented in our existing political climate. Change the climate; change the way we vote. Help voters choose specific solutions over vague ideologies in 2014. The proposal that welfare is government support of employers is interesting, but false. More accurately, while it (hopefully) helps people who truly are in need of temporary assistance, it unfortunately allows many others to avoid taking the actions that would improve their financial situation, and thus improve their lives. In other words, it often subsidizes doing nothing, which certainly, ok, hopefully is not what it was ever intended to do. Concerning the living wage concept, I recall a most ironic situation several years back when City Market in Burlington announced it could no longer pay the city-mandated living wage. The reason given was they could not afford to pay it and remain in business. Just where, pray tell, might the industry be found that could possibly support the proposed “living wage”? Realistically, when most employment is found within the service and social services industries and the pay scales in the government sectors at all levels exceed those in the private sector, it should be quite apparent where the problem(s) lie. Perhaps someone with time to spare might care to expound on the role in this drama of the pyramiding (un-repayable) National Debt that has bankrupted the United States. Is it possible that we just might could Abolish the Fed and cancel the entire bogus debt to which they have made us liable via the creation of “money” out of thin air to lend to our government at interest?? G. Edward Griffin’s excellent book, The Creature From Jekyll Island, explains in painful detail the origins and details of the scam which began in 1913. If you are for a “livable wage,” go ahead and pay it. What’s that you say, it’s someone else’s job to pay a livable wage, not yours? In the mid 1990’s I paid employees more than today’s minimum wage for janitorial work because I had to do it to keep good help. Real freedom eliminates the need for a livable wage mandate. After all, in those days, nearly everyone who wanted a job had one. I competed with other employers to keep good help. And those workers in those days were not stressed to the max to keep up with the cost of living. Ten dollars an hour came close to giving a frugal single person a middle class living. That kind of robust, growing economic climate does not exist in Vermont today, and may never again because of political meddling in energy markets and the burgeoning welfare entitlement with its attendant welfare state, as detailed by John. We have regressed. How much must we lose, how many lives must be ruined so blind liberals and progressives can feel good about themselves? Wait. I forgot. It’s all Bush’s fault. What will be the real result of mandated “livable wages?” Fewer jobs, even more welfare dependency, and dollars competing with the Argentine peso for worthlessness. But if that kind of economy and decrepit society does does not interest you, please keep an open mind so leftist propaganda of the future can convince you that you are indeed living in Utopia.